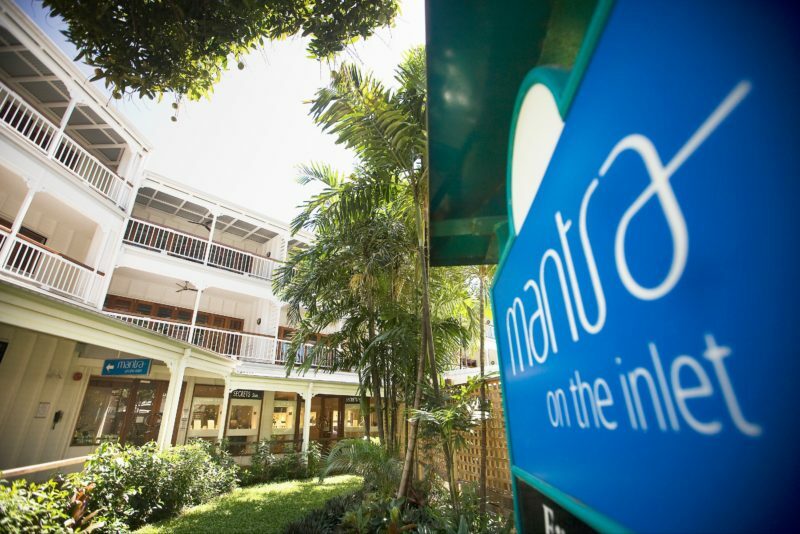 Mantra on the Inlet offers the perfect location to experience everything Port Douglas has to offer. 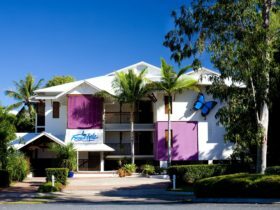 It’s close to the beach, in the centre of town and provides access to amazing North Queensland attractions. 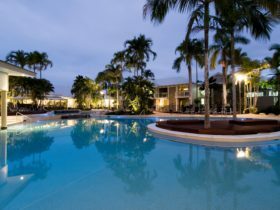 With leisure facilities galore, you’ll be able to tell straight away you’re on a tropical holiday. You’ll enjoy the outdoor pool and spa or relaxing on the sun deck with a book. For a fun dinner with family and friends, whip up a barbecue and enjoy a night of good food and good company. 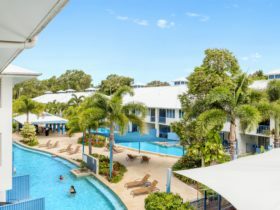 From its prime position on Macrossan Street, it’s just a short stroll to Dickson’s Inlet and Port Douglas restaurants and shopping. 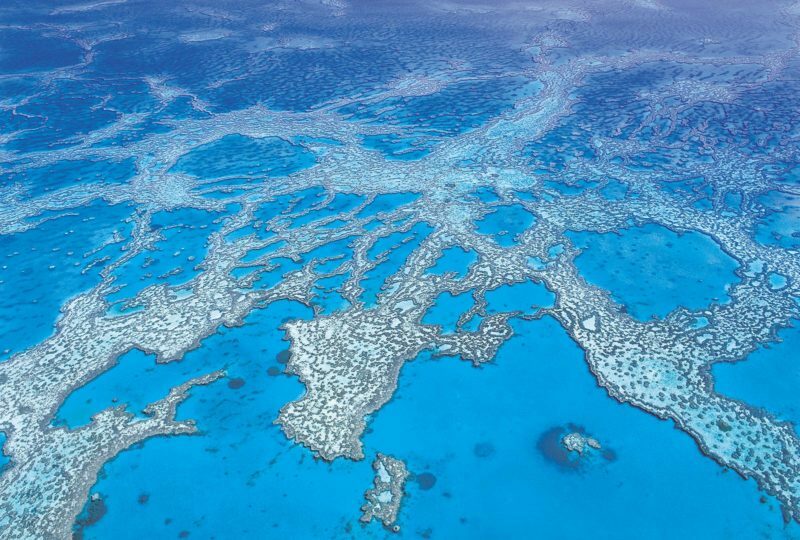 You’re also on the gateway to some of the best Queensland attractions with the Great Barrier Reef and the Daintree Rainforest on your doorstep. 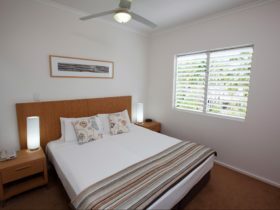 Queenslander Colonial Style architecture truly brings the ambience of Port Douglas to the fore. Spacious one bedroom apartment with one king or two singles. Features full kitchen and laundry facilities and a whirlpool spa. 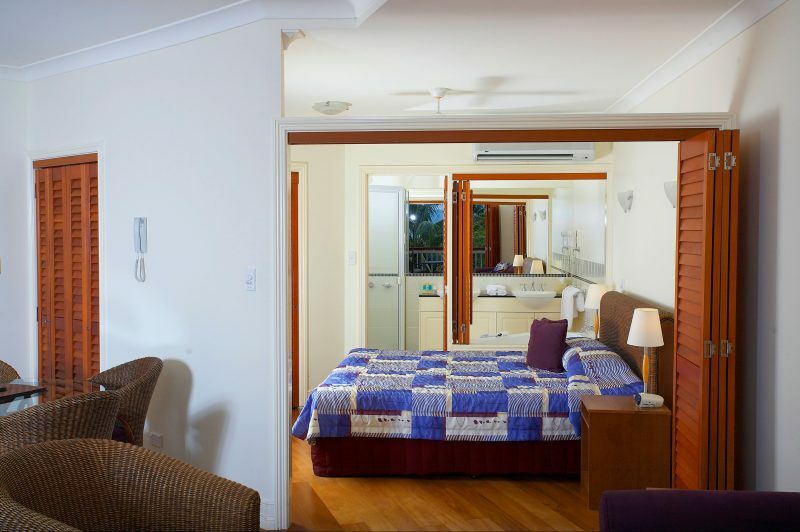 Queenslander Colonial Style architecture truly brings the ambience of Port Douglas to the fore. Spacious two bedroom apartment with two kings or two singles. Features full kitchen and laundry facilities with a whirlpool spa. 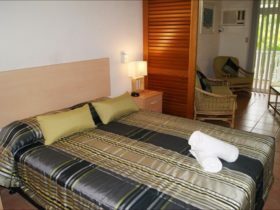 Consists of an interconnecting hotel room and one bedroom apartment. 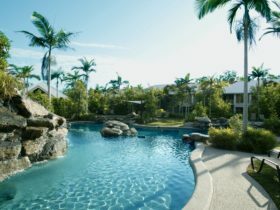 Queenslander Colonial Style architecture truly brings the ambience of Port Douglas to the fore. These rooms are small so are ideal for short stays. They are available with a king bed or two singles.